Today we are lucky enough to have Yanet with us Guest Posting from the Tuts for Tre - she is an amazing person who was willing to share with us all her story. Please take a moment to read her post, visit her site, and feel free to leave comments in response on our Facebook page. Hello, I am Baby Tre's Mommy. 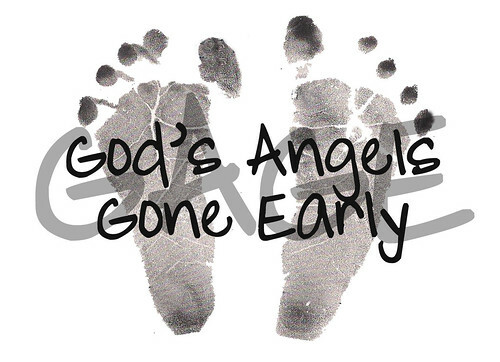 Baby Tre passed away Nov. 13, 2012 after fighting to survive before he was even born. He was diagnosed with Hydrocephalus around 27 weeks via ultrasound during my pregnancy. Baby Tre was born at 35 weeks and was later diagnosed legally blind (Morning Glory Syndrome), was put on a 23 hour feeding tube, Epilepsy, West Syndrome, Scoliosis, Moebius Syndrome (inability to smile, show any facial expressions). He passed away at home in my arms on Hospice. He was 14 months old. In his honor I started Tüts for Tre. We make Tutus for Princess who fight to survive and Princesses in Heaven for FREE. We have mailed a few around the world including England, Africa, New Zealand & Canada. If you are interested in receiving one send us a message on Tüts for Tre and request to get required info. We would love to make a Princess or a Grieving Mother SMILE! !